I will explain in this article the top 5 things that I absolutely loved about the Dragon Ball Super: Broly film. 1. The Gogeta vs Broly Dream Match Finally Realized - I remember when I was often playing Dragon Ball Z Budokai 3 for The Sony PlayStation 2 during my senior year of high school year seeing Gogeta and Broly briefly fighting in the game’s intro. I remember saying that The Gogeta vs Broly dream match is the #1 Dragon Ball dream match that I wanted to see the most and many years later, Akira Toriyama and Toei Animation finally made that dream match a reality when the two officially squared off against each other in the film when Gogeta and Broly were evenly matched as Super Saiyans, but the fight became more intense when Gogeta went Super Saiyan Blue and Broly went Full Power Super Saiyan when the two were trading blow for blow and blast for blast. But then Super Saiyan Blue Gogeta then was thrashing Full Power Super Saiyan Broly and had almost killed him twice: first with the God Soul Punisher and second with The Full Force Kamehameha. Super Saiyan Blue Gogeta had failed to kill Broly on both attempts because first of the Super Shenron being summoned and then Broly being teleported to the planet that he was discovered at: Vampa. Broly is far stronger than Super Saiyan Blue Vegeta and Kakarot as separate beings, but weaker than Super Saiyan Blue Gogeta. 2. Better Backstory For Broly - I vividly remember watching the first Broly film many years ago and I absolutely hated the original Broly backstory of that film because Toei written Broly’s backstory as someone that grew up hating Kakarot because he was crying all the time. 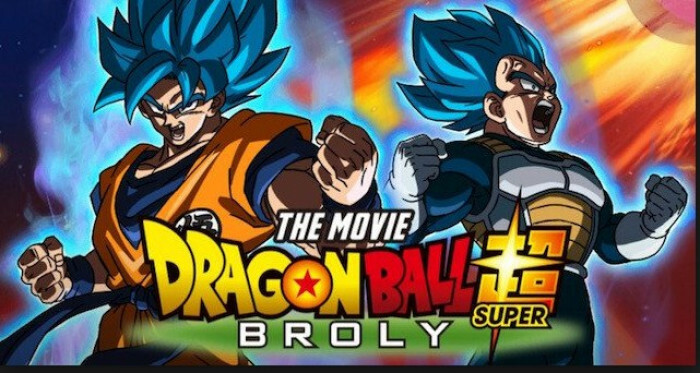 But in “Dragon Ball Super: Broly”, Broly’s backstory was much better because his backstory in this film was that when about 41 years before the events of the film, King Vegeta saw that baby Broly had far greater potential than his son Vegeta by using the scouter, he immediately saw Broly as a threat to the the Saiyan throne and he decided to personally exile Broly from planet Vegeta by sending him to a barren wasteland of a planet called Vampa. This backstory for Broly in this film made far more sense than the original backstory in the very first Broly film. 3. The Appearance Of Super Saiyan Red Vegeta In Anime Form - Even though the appearance of Vegeta transforming into Super Saiyan Red was brief in the film, he has always looked better than Kakarot, even when he transformed to Super Saiyan Red, he looked more better and absolutely badass than not only Super Saiyan Red Kakarot, but also to me, seeing Super Saiyan Red Vegeta for the first time in the anime was definitely one of the biggest things I loved about this film because prior to seeing Super Saiyan Red Vegeta in the anime, he actually tapped into the form for also for a brief period during The Future Trunks Arc in The Dragon Ball Super manga while fighting against Super Saiyan Rose Goku Black. Super Saiyan Red Vegeta > Super Saiyan Red Kakarot. 4. Animation - I know a lot of people especially those in The Dragon Ball fandom dislike the use of CG aka Computer Generation in anime, but to me the animation and CG shots in the movie were absolutely top notch, high quality, and phenomenal because the animators had worked extremely hard throughout this entire year to display the best animation that Dragon Ball has ever had because a lot of the Dragon Ball fandom including myself had been very critical of the animation in The Dragon Ball Super anime that was very wonky and choppy during many scenes of the anime like the horrendous animation of the Super Saiyan 2 and 3 animations of Kakarot when he was fighting against Beerus on King Kai’s planet early on in the Dragon Ball Super anime. 5. No Ultra Instinct - One of the biggest things that I loved about this film was that Ultra Instinct was kept out of the film even though there was a scene in which Kakarot was transformation from Red to Blue and right in the middle of that transformation I saw what appeared to be for a brief second “Mastered Ultra Instinct”, but Kakarot did manage to transform to Super Saiyan Blue. Vegeta made it clear in the Dragon Ball Super anime and the manga that he’s not a fan of Ultra Instinct because his aggressive fighting style is not suited for Ultra Instinct. Ultra Instinct is mostly a defensive and not much of an offensive technique which is why Vegeta called the technique in the previous chapter of The Dragon Ball Super manga “useless”. Honorable Mentions: The numerous homages in the film that paid tribute to classic DBZ moments such as Vegeta transforming to Ascended Super Saiyan - an homage to The Cell Saga when he first transformed to Ascended Super Saiyan against Semi-Perfect Cell, Broly shooting an energy blast out of his mouth - an homage to when Nappa used the same attack against The Z Fighters in The Saiyan Saga, and Broly grabbing Super Saiyan Red Kakarot’s head and running with his head through the avalanche- an homage to when Broly grabbed Super Saiyan Teen Gohan’s head and slung it several yards through a brick wall in the very first Broly film. Broly powering up to his Wrathful form which is as close to Super Saiyan 4 as we’ll ever get in Dragon Ball. The Conclusion - This film has already broken several Japanese box office records by making over $18 million in its opening week alone at The Japanese box office and when the film premieres in The States on January 16th, 2019, and the film has broken all sorts of box office records internationally making over $50 million dollars. The film made more than $5 million dollars on its opening today in America breaking the $1.8 million opening day gross amount that The Revival Of F made in 2015. This film was full blown badass with the beautifully fluid animation and spectacular fighting scenes with better backstory for Broly. This film for me is not only my favorite Dragon Ball film, but my favorite all-time anime film.